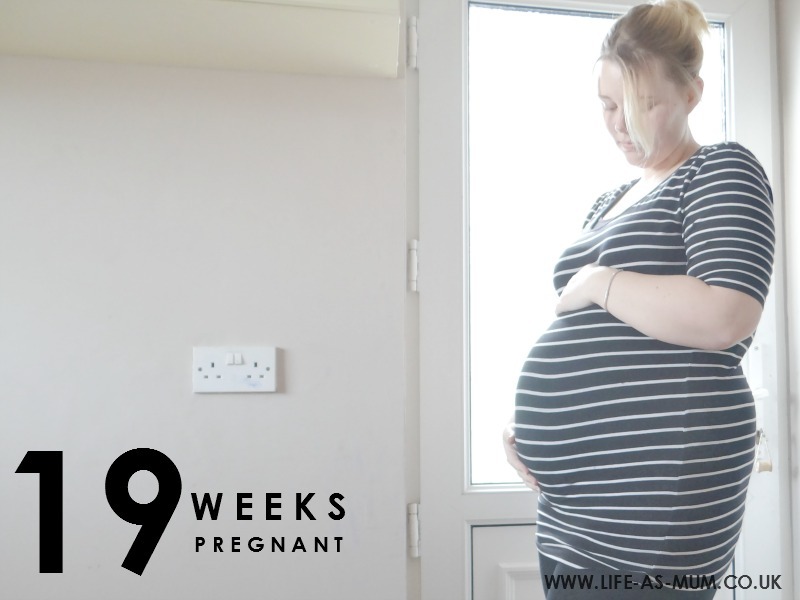 It just feels like yesterday when I was writing my 18 weeks pregnancy update. The past few weeks are flying by but my due date still feels like a long time away. This week has been full of stress, illnesses, pains and just being emotional (again!). For some reason the past week has been really hard with the girls. Esepcially my youngest, Elliw. I feel as she constantly wants me and I am starting to feel exactly how I was when I was pregnant with Elliw, so I am just wanting these next weeks to fly by now so I don't have these emotional breakdowns. Just over a week ago I had finished a cold, but I have been suffering all week with a bad cold again! When I have colds they're not usually something to complain about but I have been feeling quite unwell with this cold and the last cold I had. Something in the air and it loves getting back to me! Baby has really enjoyed pushing on my nerves this week. There are has been a few times where I feel so uncomfortable and in pain because baby just won't budge. I've been getting a lot of period type pains this week too. Not something I used to have really, so I am not used to them. I do feel as if I am complaining a lot, but I am trying my best to enjoy this pregnancy but I am finding it so hard this time round. With having a 6 year old with a big attitude and answering back at time, and also a nearly-four-year old who constantly wants attention, constantly repeats herself and is hard work most of the time. It doesn't help that I get stressed pretty quickly and really emotional! I am just hoping for a better week. APPOINTMENTS - No appointments this week. I have my 20 week scan appointment on 9th March. Crossing fingers that my 3D gender scan is correct and Baby is a boy because we have bought so many things already. WEIGHT LOSS - Struggling big time. I am just gaining weight. Eating the wrong meals but not proper meals at lunch time. I am finding it really hard. CRAVINGS - I've been drinking a lot of milk this week. Not sure if that is a good thing? CLOTHING - Still in my maternity leggings. However, I have finally found my favourite Maternity jeans from Mamaway which you can read my review here. SYMPTOMS - Really emotional, stressed, period type pains and itchy/sore breasts. 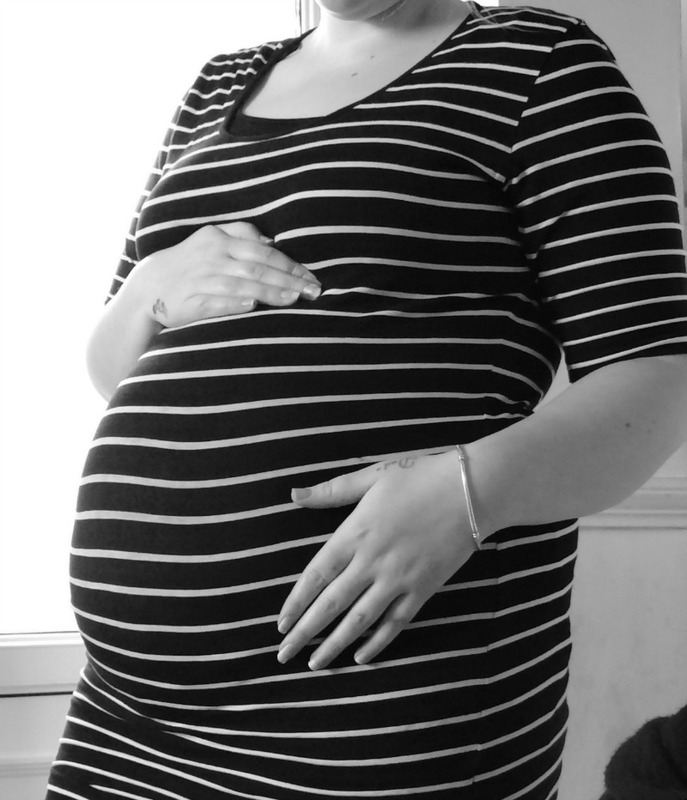 OBSTETRIC CHOLESTASIS SIGNS - Still not come fully on, so nothing to complain about at the moment. BABY - Baby is moving around. Not feeling as much kicks as I thought but I can feel baby moving up against me during the evenings and some mornings. I don't feel movements in the day, only now and then. But I think that is probably because I am so busy with the kids or something else, I don't realise. Baby is now size of a Mango and roughly 15cm in size. Oh your bump, it's fabulous. I'm not far behind you. The itchy sore breasts, ouch! Nearly half way. How exciting. Your bump is growing lovely. Hi Beth, I'm all for getting it off your chest, why not let the world know how you're feeling? You are after all in the process of creating something pretty amazing and your body doing that is going to play havoc with you. Hopefully in a few weeks you'll be feeling brighter and more on top of things and your children will get used to the idea that Mum needs to rest a little. Hope all goes well with your scan tomorrow and that the rest of the week is ache and ailment free! Sorry darling you are currently finding it tough. Big hugs ...pregnancy hormones can get us from time to time. I had it a lot more the second time around but think that's because you have to look after another child too. Bless you still looking amazing and beautiful bump though. :) Thanks for linking up to #ShareWithMe.